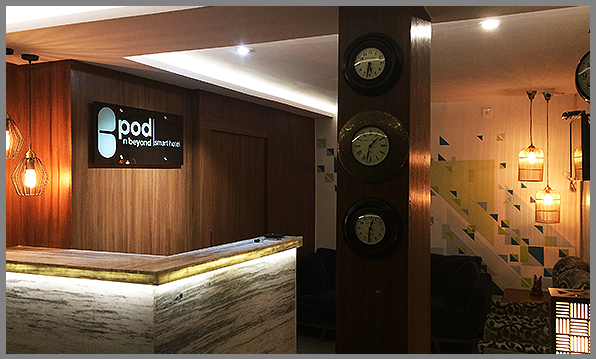 The Pod N Beyond Smart Hotel, Jamshedpur is India’s 1st Pod Hotel. It is not only non-conventional budget hotel, we have built this from the scratch for smart travelers just like you, who wants to see and explore, with all the world class facilities at a very affordable rate. Stay in the heart of STEEL CITY (Kalimati Road, Sakchi) and experience a world class ambiance with 10 different options to choose from, Capsule, Single, Double, Bunk, Tri, Quadra, Queen and King Pods. This is not all, you also get complementary Hot Breakfast, Self-Service Laundry, Wi-Fi, Local Calls ! We also help professionals and travelers to network and connect by using our innovative business center which offers E-Library, Magazine Stand, Music Corner and Game Zones.